The INSPIRE Directive also requires Member States to designate structures and mechanisms for coordinating, across the different levels of government, the contributions of all those with an interest in their infrastructures for spatial information. This could include users, producers, added-value service providers and coordinating bodies. Such contributions could concern the identification of relevant data sets, user needs, the provision of information on existing practices and the provision of feedback on the implementation of this Directive. 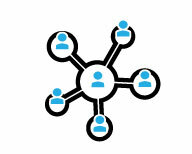 Each Member State should designate a contact point, usually a public authority, to be responsible for contacts with the Commission in relation to INSPIRE. This national contact point is be supported by a coordination structure, taking account of the distribution of powers and responsibilities within the Member State. At the EU level, INSPIRE is coordinated by the Commission, assisted by relevant organisations and, in particular, by the European Environment Agency. DG Environment acts as an overall legislative and policy co-ordinator for INSPIRE. The establishment of the legislative act and its follow-up is led by DG Environment, supported and advised by Eurostat. Given the primary focus of INSPIRE on environmental policy, and based on liaison with the EEA, DG Environment specifies environmental thematic policy requirements for INSPIRE as a framework for the implementation programme. The JRC acts as the overall technical co-ordinator of INSPIRE. The JRC ensures the viability and evolution of the technical infrastructure for INSPIRE and guarantees the liaison with the European and international research community. JRC also initiates and monitors the work with international standardisation bodies for the purposes of INSPIRE and will be responsible for the technical coordination with other relevant international initiatives. In 2013, the European Environmental Agency (EEA) increased its involvement in the EU level coordination, by taking on tasks related to monitoring and reporting, and data and service sharing under INSPIRE as part of the SEIS and INSPIRE activities. The EEA will also use its networking experiences through the well-established European Environment Information and Observation Network (Eionet) to strengthen the integration of INSPIRE with other EU level initiatives, including reporting and information dissemination under the environmental acquis.